Internet security is a branch of computer security that involves various security measures taken for ensuring browser security, network security, security of other applications and operating systems. Since most of the cyber attacks and malware programs originate from the internet, the primary goal of Internet security is to offer rules and regulations against cyber attacks that arise from the Internet. Why Comodo Free Internet Security Suite? With Comodo Free Internet Security Suite 2019, you can prevent most of the cyber attacks and malware which can steal your private data stored on your computer, give hackers unauthorized access to your computer, financial and personal information. Malware arising from the internet can hold your system as a hostage and demand money, secretly gather sensitive information about your computing habits, internet activity, and keystrokes, etc. You can protect yourself from all of these threats with the latest version of Comodo Internet Security. Our sandbox technology automatically locks unknown files in a secure environment while our Valkyrie system tests their behavior in real-time - protecting you against malware that the virus industry hasn't even discovered yet. Control which programs are allowed to access the internet, make your computer invisible to hackers and protect your system against all inbound and outbound attacks. Comodo Internet Security Premium has been rated as the Top Product by AV-TEST after evaluating 18 home user security products using their default settings in Feb 2018. Tested against Windows 7 (SP1, 64 bit) platform, our internet security product succeeded in demonstrating its capabilities employing all components and protection layers with a score of 17.5/18. Why Do I Need Internet Security Suite for my PC? 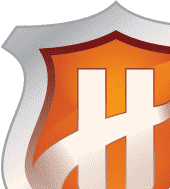 Comodo Internet Security 2019 is the free, multi-layered security application that keeps hackers out and personal information in. Built from the ground upwards with your security in mind, Internet Security offers 360° protection by combining powerful Antivirus protection, an enterprise class packet filtering firewall, advanced host intrusion prevention and automatic sandboxing of unknown files. 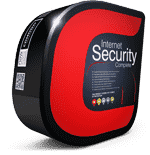 Users can upgrade to Comodo Internet Security Pro for just $27.99 per year and receive unlimited live expert virus removal services and our exclusive Virus Free Guarantee. ...from viruses, Trojans, worms, buffer overflows, zero-day attacks, spyware and hackers. Comodo Internet Security alerts you whenever potential malware attempts to attack or gain access to your system. Comodo Internet Security program combines powerful Virus Protection Software, an enterprise class packet filtering firewall, advanced host intrusion prevention, application control and anti-spyware in one supremely powerful application. Built from the ground upwards with your security in mind, Free Internet Security offers 360° protection by combining powerful Antivirus protection, an enterprise class packet filtering firewall, advanced host intrusion prevention and automatic sandboxing of unknown files. I suggest you use it once before you say no to it. Its terrific! Comodo Free Internet Security Suite 2019 - A big thank you! My system stayed riddled until the free suite unfolded all the mysteries surrounding the issues. This software is worth it - if you want your back to be protected suit up - Comodo Internet Security Premium. 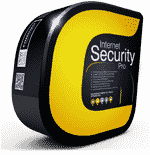 Comodo Free Internet Security Suite is a great product. Easily, protect yourself from all of the threats! The Comodo Free Internet Security Suite provides the best defense. It was bang on the hiding malware and we easily cleared it. Many Thanks. Reginald! What makes Internet Security different? Known and listed PC-safe files and applications are easily identified and able to access your PC. Firewall and Antivirus combine to stop viruses and malware before they enter the PC. The sandbox is a virtual operating environment for untrusted programs – ensuring viruses and other malicious software are completely isolated from the rest of your computer. Firewall quickly learns the rules you set for downloading software, and adjusts its alerts accordingly to fit your needs. 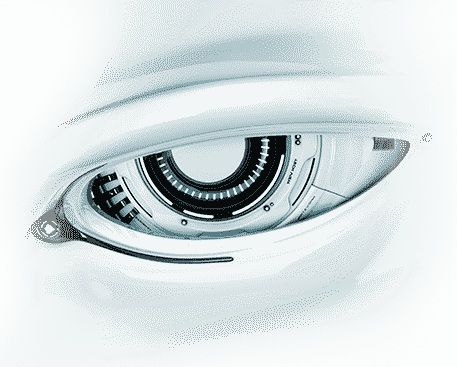 Cloud based behavior analysis system detects zero-day malware INSTANTLY. Keeps you safe online by automatically blocking dangerous websites and allows you to set up custom block lists for different members of your family. Suppresses operations that could interfere with a user's gaming experience such as alerts, virus database updates or scheduled scans. Provides users with the ability to lockdown their PC so only known good applications can run. Make sure your PC is clean with one simple button click. Quickly navigate through the various parts of Firewall protection without getting lost. Preset security settings for simple point-and-click setup. List of over two million known PC-friendly files and applications so safe files and apps are allowed to run. Comodo Internet Security includes the buffer-overflow protection original featured in Comodo Memory Firewall. Yes – you are given the option to install exactly the components you want during setup. No – the sandbox is the first part of a trust decision engine. After an unknown application has been placed in the sandbox, Internet Security will also automatically queue it for submission to Comodo labs where it will be analyzed by our technicians. If it is found to be harmless then it will be added to the global safe list that will be downloaded by all Internet Security users in the next round of updates. Once it is added to the safe list, the application will no longer be run in the sandbox by Internet Security. If it is found to be malicious then it will be added to Comodo's list of malware signatures and will be deleted after the next round of updates. 8. What is 'Secure Shopping'? 9. Why should I upgrade to CIS Pro? Comodo Secure Shopping is a major new feature in CIS which provides unbeatable security for online banking and shopping sessions. When using Secure Shopping, websites will open inside a security-hardened virtual environment which is isolated from the rest of your computer. This creates a threat resistant tunnel between you and your target website which cannot be monitored or attacked by any other processes running on your computer. Applications inside the secure environment are totally sealed-off from other processes on your computer - meaning there is no way that malware can gain access to your data. The technology behind Comodo Secure Shopping is already being used by major point-of-sale and money-wiring organizations to secure sensitive customer transactions. With CIS, Comodo brings this same level of security to your home. If you need a truly secure place to work and go online, then use Comodo Secure Shopping. We've streamlined our installation processes so users always receive the most up-to-date version even if you download an outdated build. Have you ever tried to run a program only to find your security software is blocking it - then can't figure out what you need to do to get it running? Is it the firewall, the behavior blocker, the sandbox or the antivirus which is stopping it? Comodo's new unblock applications feature allows you to release applications with a single click from whichever security component has blocked them.